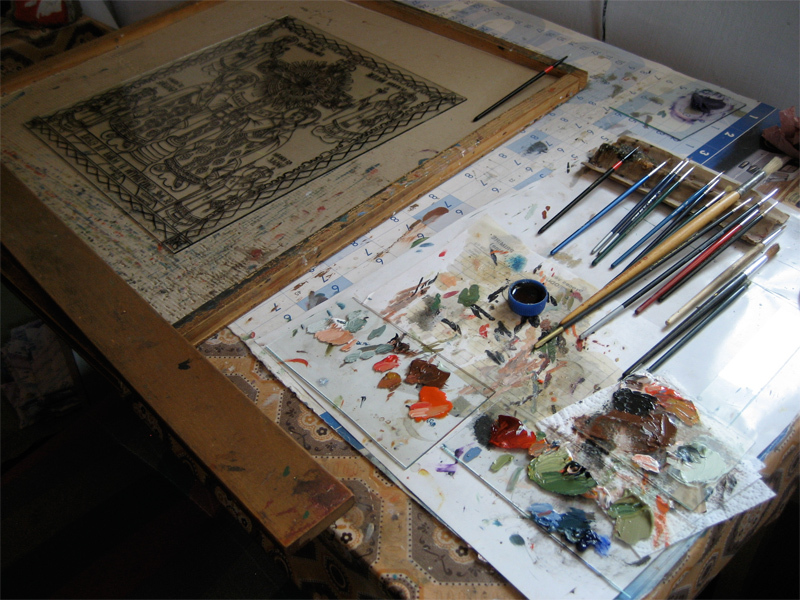 The art of icon-painting is widespread in Christian-Orthodox Europe. More specialized is the art of reverse-painting on glass according to precise Church-authorized artistic rules. This has been revived by the monks of Sambata Monastery who paint icons for various churches or for buyers who place special orders. The preferred method is to paint on ‘old’ glass with uneven surfaces that play with light rather than modern flat glass.